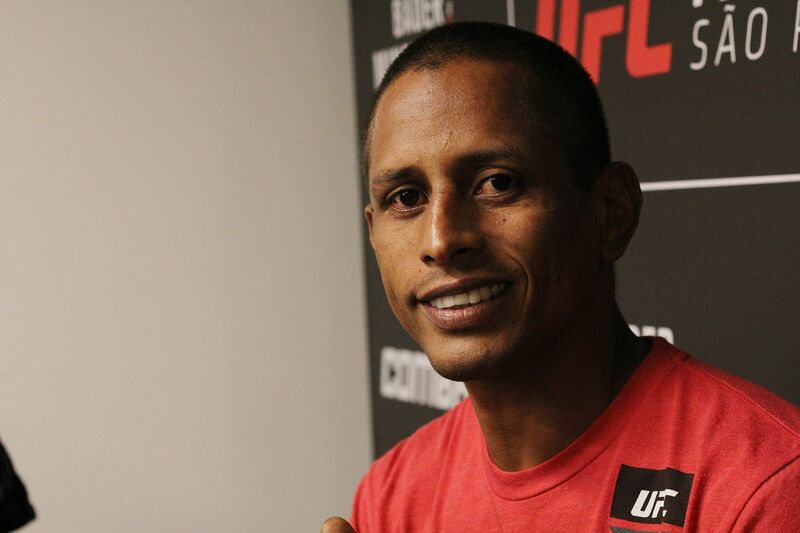 RIO DE JANEIRO — Johnny Eduardo is finally returning to action almost one year after his last fight, and he’s not happy about it. The Nova Uniao fighter takes on Manny Gamburyan at UFC Fight Night 100 in Sao Paulo, Brazil, on Nov. 19, and the fact that he wasn’t able to fight more than once in a calendar year since signing with the promotion and that has frustrated him. Eduardo tries not to wonder why the promotion books other bantamweights in back-to-back fights while forcing him to sit on the sidelines for so long, but it bothers him — and he thinks that a fighters’ union would help prevent situations like that. “It’s a bit unfair, but I can’t grow this type of feeling inside of me,” Eduardo said. “I leave it in God’s hands. I want to fight, I ask for it, I do my job with the media, I go on Twitter and call people out, challenge them. … I shot many fires on Twitter, but didn’t hit anyone [laughs]. I think I even shot at Manny Gamburyan, so one worked [laughs].